We're pleased to announce that, after last year's summer season, we have some more exciting open events happening throughout the whole of 2019 at Glenfall House. Whether you are in to afternoon tea, classic cinema, outdoor theatre, garden parties, kids events, cheese & wine evenings, live music or themed discos, we will have something here for you. Check this page regularly for events in the coming months. Alternatively if you want to be kept informed of the fun-stuff we have planned, register here with your name and email address and we'll send you our 'What's happening at Glenfall' Newsletter - what could be easier! It’s 1792 and France is deep in the throes of revolution. The aristocracy are holding out for a hero, and one swoops in from across the Channel. A tale of England and France, of rich and poor, of divided loyalties and of a mysterious hero saving French nobles from the guillotine – just for fun! A small troupe of actors adopt many disguises, accents and probably some beards, as Baroness Orczy’s classic adventure story gets the Jenny Wren treatment. Liberté! Égalité! Fraternité! And knitting! If wet, performance will go ahead indoors. Join one of Shakespeare's most famous heroines, Rosalind, as she makes her way in a world full of power, jealousy and tyranny. In fear for her life and in search of true love, she flees her heritage with her cousin Celia and fool Touchstone. Will disguising herself as a country lad lead her to a new life full of hope, laughter, and her banished father? With songs galore, hand-to-hand wrestling, idiotic shepherds and the infamous melancholic Jaques, this comedy is ideal for all the family. 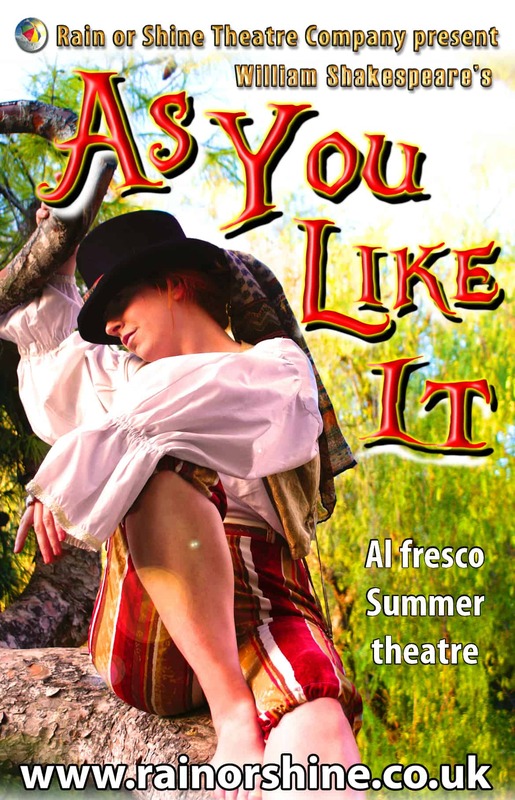 So pack your picnic, rugs and chairs, pop open some bubbly and sit back and relax in the summer sunshine, while we whisk you off to the Forest of Arden where anything can happen! Follow us on our facebook page for the latest details of events.